Rugged 40/20 GHz single-ended S-Probe and differential D-Probe are stronger than conventional microprobes at lower prices. They are designed for board-level RF and signal integrity testing. Flex Probe Station is the most flexible benchtop station for probing with microprobes and ruggedized RF probes. 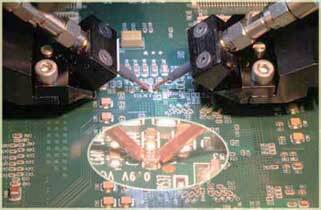 A user can easily configure the Flex Probe Station for probing PCB’s in both vertical and horizontal orientations in minutes. PacketMicro is an authorized reseller for Luxshare-ICT USB Type-C test fixtures that are certified by USB-IF, which includes high-speed fixtures, Alt-mode cable assemblies, PD Coupon, and others. 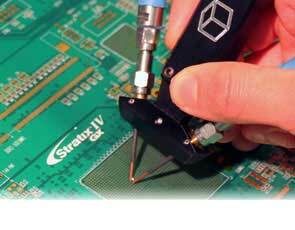 We provide innovative bench top probe stations and GHz durable probes. Engineers can focus on their measurement works without worrying about breaking the test probes. Through our own experience in high-speed designs and system expertise in wireless and RFID technologies, we set out to design products to help our own works and offer the same products to the engineering community. Through close interaction with our customers, we refine our products to meet their needs. Currently, we provide the most versatile, rugged, and competitive probing products in the industry. Our customers include some of the top technology companies.